Gingivitis is the earliest stage of gum disease that is marked by bleeding gums that become irritated during brushing and flossing. This video talks about preventing gingivitis through positive dental habits and proactive care at the dentist’s office. A periodontal evaluation will measure the pocket depth of the gums to assess how much, if any, damage to the gum tissue has occurred. Gingivitis is reversible, and it can be easily managed with good brushing and flossing to reduce the buildup of plaque. Learn more about gingivitis and its treatment by scheduling an appointment in the office of Dr. John Carson, D.D.S. Contact us on our website or call (520) 514-7203 for a complete overview of our dental services. A beautiful smile can positively impact your life in many ways, but none more so than the simple urge to smile more often. If there are features of your smile that you are not pleased with, you may want to consider procedures like those listed below that can improve the look and function of your teeth and gums. Porcelain Veneers: Patients love the aesthetic effects of porcelain veneers along with the long list of benefits that porcelain offers as a restorative material. The material looks and acts like natural tooth enamel, but it is much easier to clean because it boasts stain resistance. Veneers are used for a variety of purposes including the correction of crooked teeth, poor spacing between the teeth, discoloration, and chips in the teeth. They can be applied to one or many teeth over a series of three office visits. Gum contouring: The gums are often overlooked when it comes to cosmetic dentistry, but an optimal tooth to gum ratio is part of a beautiful smile. If you have gum tissue that is too visible when you smile, gum contouring can restore the proportionality of your smile. It is a comfortable procedure performed over just a few visits to the dentist’s office. Clear Orthodontics: Many patients who would benefit from orthodontic work are finding great comfort and successful results with the clear braces systems. These braces can correct common orthodontic issues like overbite, underbite, and crooked teeth without the trouble of metal wires in traditional braces. The transition in your smile will gradually take place before your eyes, and you won’t even be able to see the braces when they are on. Explore these and more cosmetic treatments to improve your smile with Dr. John Carson, D.D.S. Our practice is committed to providing Tucson residents with the highest level of dental care using the most advanced technology available. Call us at (520) 514-7203 or visit our website to schedule your initial consultation with us. 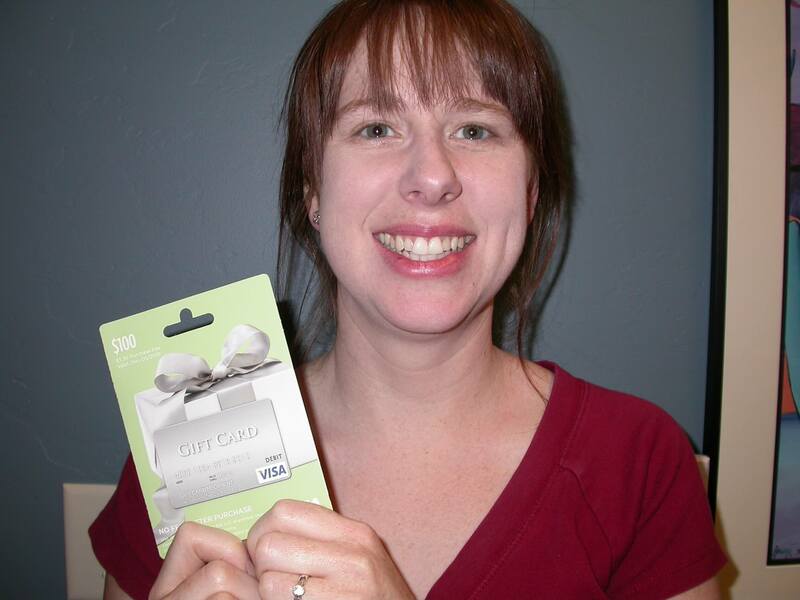 Congratulations Diane B. our January $100 Winner! Your teeth may become stained or yellowed over time for a variety of reasons, even if you are on top of your at-home dental care. Commonly consumed foods like berries, coffee, and dark-colored sauces all discolor teeth. Certain habits like smoking cigarettes or not rinsing after eating may also lead to stains. Whitening procedures in the office produce dramatic results in one sitting. Because our hygienists are able to closely monitor the whitening process, the whitening gel we use is of a higher concentration than over-the-counter products, which will produce quicker results. The long-lasting effects of deep whitening from a one- to two-week treatment with prescription whitening gel can remove even the toughest stains. The gel and trays are provided for you with thorough instruction from the dentist so that you can see beautiful results with minimal effort. Consult the dentist before beginning any whitening treatment. Even if a store-bought solution is right for you, over-the-counter whitening products should only be used under the instruction of a physician. Your dentist will be able to assess the exact degree of whitening you need and guide you toward the right treatment based on your oral care history. Find out about more ways to enhance the beauty of your smile by scheduling a consultation with Dr. John Carson, DDS. Contact our Tucson office by visiting our website, or call us today at (520) 514-7203 to learn more about our services. WebMD.com reviews the foods that have the largest impact on yellowing teeth. Review the basics of proper dental hygiene with this page from the Mayo Clinic. Learn the advantages of professional whitening over at-home systems on this page from EverydayHealth.com. CERECOnline.com explains the benefits of the CEREC crown procedure over traditional crowns. Find out if a dental crown will benefit your smile with this MedicineNet.com article. Schedule your consultation for a smile makeover with Dr. John Carson, DDS by calling our Tucson office at (520) 514-7203. One of the most extraordinary uses of computer technology in dentistry is the CEREC crown system. This system eliminates the hassle associated with traditional crowns while still restoring the health and beauty of your smile. This video shows how CEREC works. First, the tooth is prepared with a reflective powder. Then, digital images of your mouth are taken. The computer uses this information to chart the exact dimensions of the tooth so a customized crown can be placed. The tooth-colored crown is made in just moments. Your dentist will then place the crown in your mouth. Your bite will be tested to ensure that the restoration is comfortable and functional. See if CEREC is right for you by contacting the office of Dr. John Carson, DDS in Tucson. Schedule your consultation on our website or by calling (520) 514-7203 today.